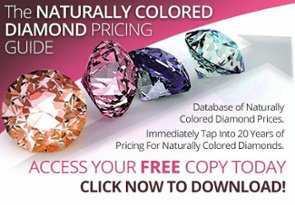 What is a Colorless Diamond? White is often a term that is considered identical to colorless stones but in actuality, white diamonds do not fall into GIA’s D-to-Z color scale. Here, the range of hues can span from having slight tints of yellow, gray, or brown, all the way to D, which refers to a stone that is so clear it can be compared to a drop of water. Unlike colored diamonds, the rarity (and therefore value), of these stones is based in part on the complete absence of color. Since “white” is not a color, but rather the sum of all colors, it doesn’t appear on the color spectrum. So What Makes a White Diamond White? 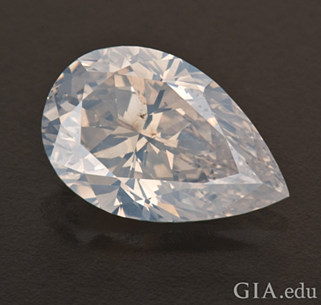 Similarly to most other colored diamonds, white gems get their color from the presence of sub-microscopic inclusions. These inclusions cause the light that passes through the stone to scatter, giving it a translucent “milky” white face-up appearance. Sometimes these diamonds might illustrate flashes of color that can most commonly be seen when the stone is facing upwards. Such stones are often referred to as “opalescent,” as they are reminiscent of a white opal with weak play-of-color. A great example can be seen in the image bellow where we can see a beautiful collection of Brazilian opals. 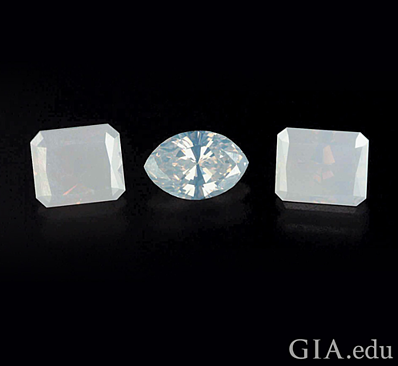 To the far right, the bluish white and white opals bear the milky translucence and weak play-of-color reminiscent of some white diamonds. Where Can White Diamonds Be Found? 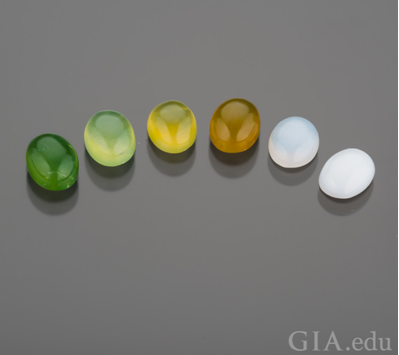 According to the GIA, there is not a great amount of information about these beautiful stones because they are not very frequently submitted for evaluation. The few that they have received and examined seem to originate from the Panna Mine in India. For more insight on colored diamonds, be sure to check out the links below!